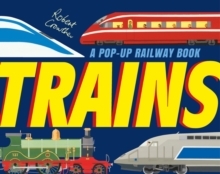 A spectacular pop-up celebration of trains and railways from a bestselling creator. 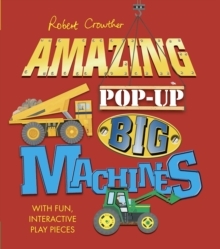 A spectacular pop-up celebration of trains and railways from a bestselling creator. Get right on track with this train book filled with lots of fun facts and pop-up surprises. Look inside a steam engine to see how it works, pull the tabs to race trains over bridges and through tunnels, and open up the last page to discover a model of a train station.